Use of California native and drought tolerant plants in residential landscapes is an effective way to conserve water, reduce pesticide use, and lower maintenance cost. 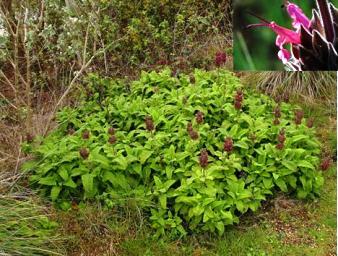 Not to mention that the use of native plants help support the local ecology. 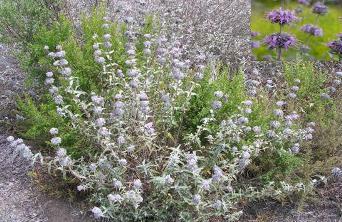 Here are ten prominent native and drought tolerant plants and shrubs. Herbaceous perennial. Grows flat on the ground. Flowers Spring through Fall with 2-inch pink-white flowers Needs occasional water. Pest resistant. Fragrant flowers. Herbaceous perennial. Blooms March to May with dark rose-lilac colored flowers with a fruity scent. Full sun or partial shade. An extremely drought and frost tolerant plant. Easy to grow. Deciduous tree or shrub. 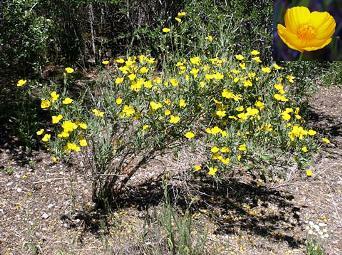 Fragrant trumpet-shaped flowers in Spring in a variety of colors that attract hummingbirds. Drops seed pods in Winter. Trim to	keep shapely. Evergreen shrub with yellow flowers in Spring, early Summer. Prefers full sun and good drainage. Tolerates cold temperatures and benefits from pruning after bloom. 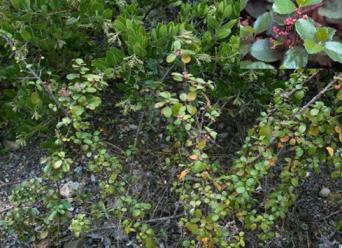 Deciduous shrub. Blooms Spring and Summer and does best with some occasional water. Prune to maintain size. 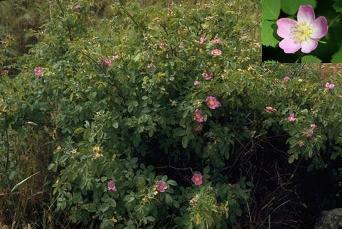 It is also an excellent plant for security, as its thorns are hooked. Evergreen shrub. Blooms late Spring. Light purple flowers. Has fuzzy, white/ green leaves. 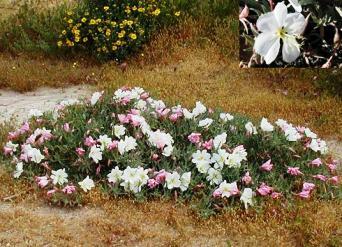 Prefers direct sun, drought-tolerant and no watering needed after established. Attracts many types of butterflies. 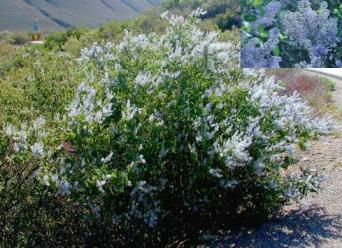 Large shrub or small tree generally with several major crooked stems. Shiny deep green leaves with attractive deep red twisted bark. 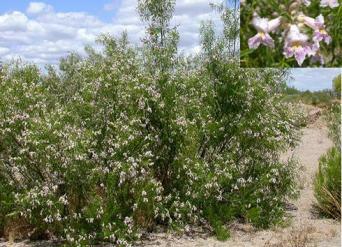 Abundant light pink flowers during Winter and Spring. Very hardy evergreen perennial. 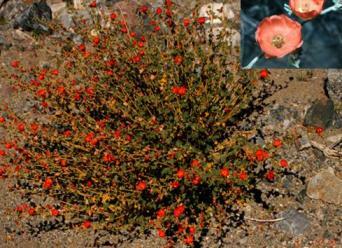 Clusters of coral flowers on stems Spring to Fall, depending on temperatures. Prefers dry winters and benefits from pruning after bloom. Evergreen shrub. White bark and azure blue flowers in the Spring. 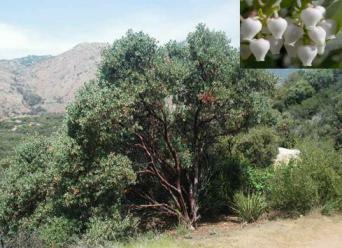 Native to dry rocky chaparral slopes in the coast ranges and the Sierra Nevada. Its extensive root system is excellent for soil stabilization. Evergreen shrub. Fragrant dark green leaves. Light pink to purplish flowers in Winter and Spring. Prefers partial shade, does not tolerate full sun. Excellent ground cover under other plants.